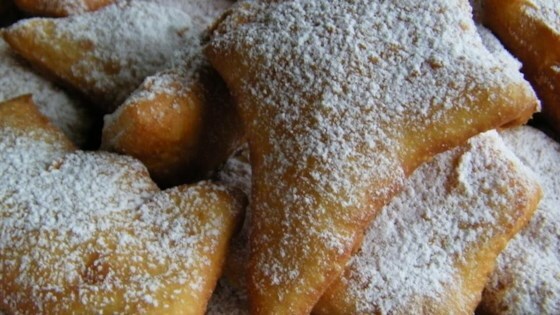 "A traditional New Orleans-style recipe for their famous beignets! Grab a cafe au lait and you're set!" Light, airy and crispy fried dough dusted in confectioners' sugar. Didn't have evaporated milk, so I did the cardinal sin, and replaced it with sweetened condensed. Turned out beautifully. Just needed to get the chicory coffee out. :) Great recipe.